That investment will also be matched dollar-for-dollar by Jeffrey Gundlach. 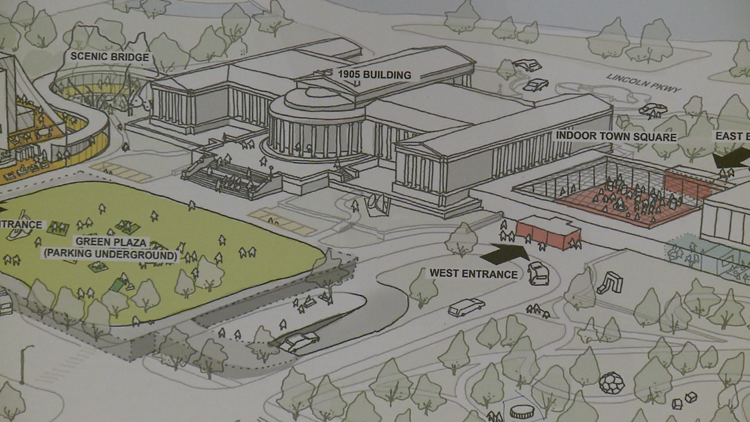 BUFFALO, N.Y. — The Albright-Knox Art Gallery received a major investment for its' AK360 project Monday. 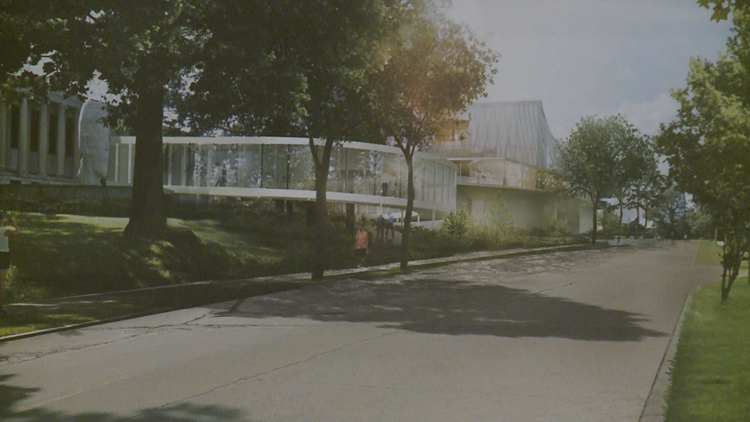 Buffalo Mayor Byron Brown announced that the city has pledged $2.5 million to the fundraising campaign for the future of the Albright-Knox-Gundlach Art Museum. “The Buffalo Albright-Knox-Gundlach Art Museum is a major part of our City’s twentyfirst-century renaissance and our thriving arts community, bringing world-class art and arts education to Buffalo for 156 years," said Buffalo Mayor Byron Brown. 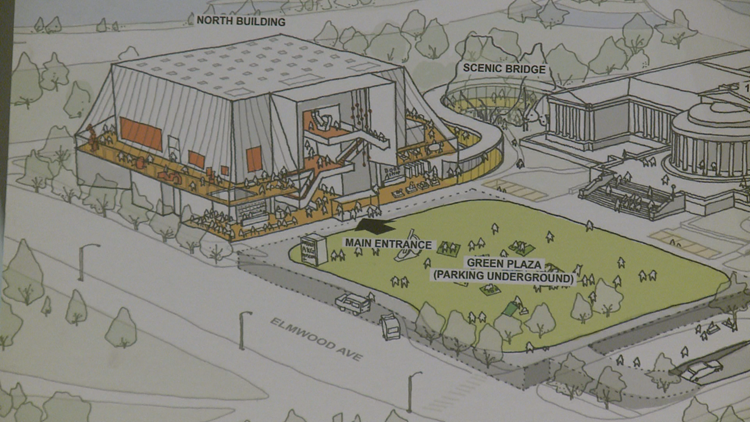 The AK360 project will add 29,000 square feet of space for displaying special exhibitions, as well as add more visitor amenities, like an underground parking ramp, more green space, and a new route from Elmwood Avenue to Delaware Park. 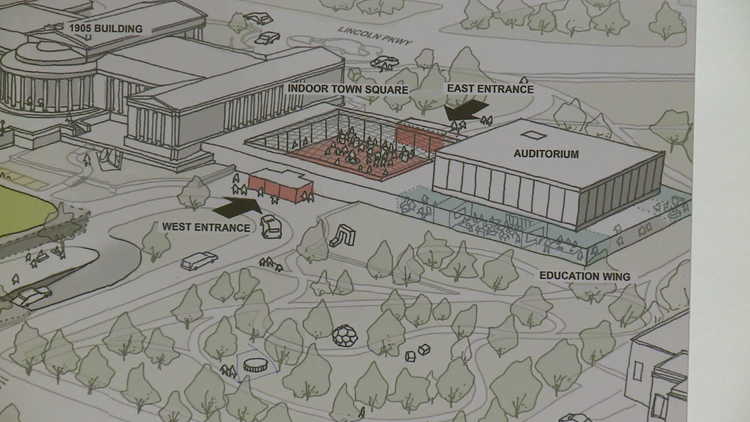 Below are renderings of what the museum is expected to look like.